Our broadcast studio has state-of-the-art 4K cameras, the same equipment used by professional television studios. Communication is a liberal arts discipline, rooted in persuasive speaking and writing. 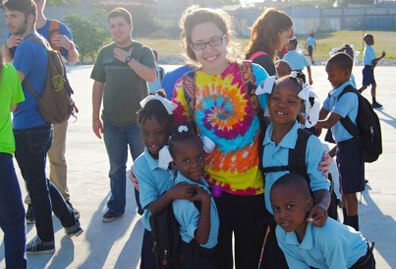 It is also a pre-professional discipline that prepares you for a career in mass media. The power of language and image is evident in nearly every part of our daily lives. This presentation of media shapes private, public and corporate opinions. By studying communication, you’ll be an influencer of these opinions. You’ll also be flexible enough to adapt to change as digital media technology evolves. 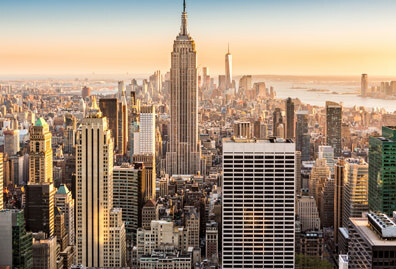 New York City is the news and media capitol of the U.S., and home to the headquarters of every major media company. 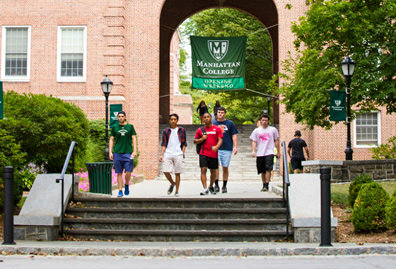 At Manhattan College, you are only a 30-minute subway ride from midtown Manhattan. 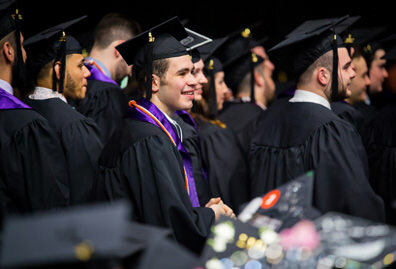 The communication program has produced thousands of successful alumni who currently work in New York City media. These alumni often return to the College to speak on panels, attend our careers fairs, and recruit students for internships and jobs. They are mentors who love looking out for fellow Jaspers. The best part is that your professional network begins right in the classroom. Your communication professors are all former and current industry professionals, as well. They bring their real-world experiences as seasoned advertisers, reporters and journalists to the table. Natalie paired her interests in government and politics with her communication major and landed a competitive internship with Haddad Media in New York City. You are also required to have a minor outside of communication. Because in today’s world, you need to know more than just how to create and produce media. All media content, from news stories, to advertisements to PR campaigns, is about something. Popular minor options include government, economics, sociology or urban studies. You will get your hands on real equipment even before you graduate. Class sizes are small, so you will have the chance to fill each role in a multi-part project, from writing, editing or producing, to interviewing, anchoring or camerawork. 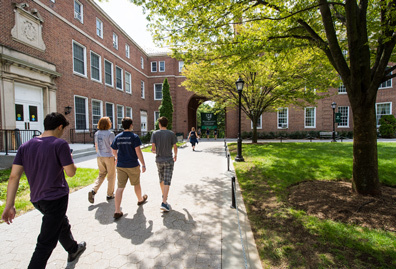 Studying communication at Manhattan College will also teach you how to be an ethical media professional in an industry where the lines are sometimes blurred. Communication is also offered as a minor. Every industry has a need for employees who can produce and package media that’s creative and clear for consumers. Media professionals work for large corporations, agencies, the government and nonprofits. Some are even self-employed. Careers of interest for communication majors include the following. See each link for more details about job outlook and salaries. I learned pretty much everything I know about journalism working at The Quad. I wrote news and sports stories and mostly music and film reviews and cultural type of pieces. I honed my craft later, but it was really, really rewarding.